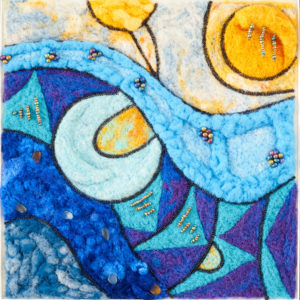 Debbie Gedayloo creates amazing paper, fabric and fiber art. Be it Landscapes or abstracts, drawings or even felted bowls her works bring a soft touch to every space! Debbie’s work truly stands out from the wall, and has a texture and a feel that you just want to touch!